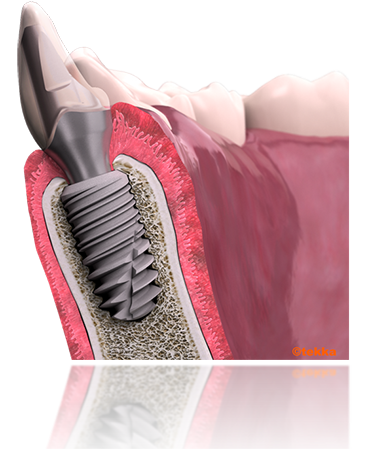 DENTAL IMPLANTS, WHY NOT YOU? Pourquoi avoir recours aux implants dentaires ? Pour remplacer des dents dont l’absence génère des problèmes de santé. L’implant est constituée d’un filetage et d’une connexion prothétique. Chirurgie, ostéo-intégration et restauration prothétique. Les implants sont utilisés uniquement chez les adultes et les personnes âgées. Seules les mutuelles prennent en charge le remboursement des implants. The fracture of a tooth sometimes imposes the root to be completely pulled out, which avoid the use of conventional conservative restorations. Furthermore, on a particularly visible area, the esthetic damage requires a solution to be simultaneously fixed, immediate and aesthetically acceptable..
Used quickly after the extraction, the dental implant is a reliable and effective therapeutic solution.. This new artificial root allows to get a quite quickly solution to the specifications. Furthermore, unlike the conventional bridges, it is a more conservative option because it avoids the decay of nearby teeth which are not affected and allows protecting the osseous volume that usually decreases in the toothless area. Molars are generally the first missing teeth. Because they are less exposed, it is not unusual to make do with one or several missing teeth as far as the aesthetic damage is not important. However, teeth work in the mouth as a set. . When one or several teeth are lacking, the risk is to generate in time an occlusal imbalance leading to an inclination of the neighboring teeth, a loss of the opposing teeth and an important bone melting. 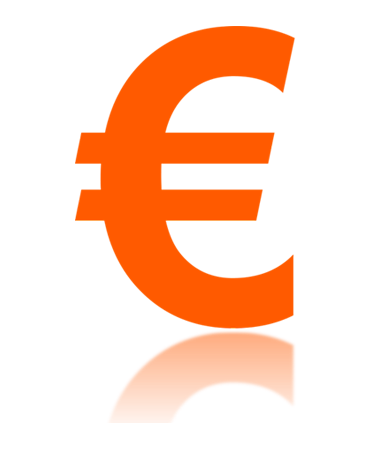 An hygienic and/or chewing discomfort, even physiological in the extreme cases may ensue from this imbalance, and the edentulism may extend in time. As an alternative to bridges or removable dental devices, the restorations on implants allow to bring a long-lasting fixed solution which rebalances your mouth and so contributes to perpetuate your natural set of teeth. The periodontal diseases can have some symptoms of inflammation more or less important. In the most advanced cases, this phenomenon can make the teeth move, leading to their inevitable loss. 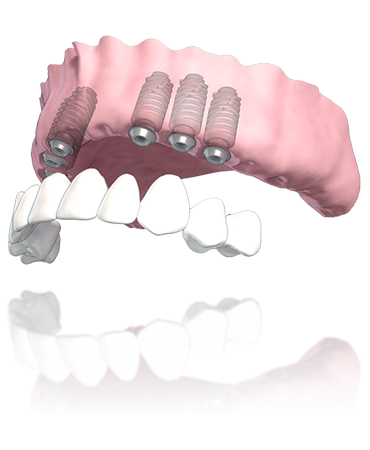 As an alternative to a removable prosthesis, implants can make your smile look young again with a result harmoniously integrated into your face and chewing sensations comparable to those of the natural teeth. Associated if needed to bone grafts (most of the time made by your dental surgeon in his clinic) which are perfectly controlled today, numerous clinical situations are then eligible for an implantology which allows you to get back your self-confidence and the pleasure of living. Furthermore, at the level of the lower jaw, the bone is not really used and tends to melt and to make the device unstable, generating in the end a loss of self-confidence. In response, there are multiple existing solutions thanks to dental implants. Depending on the situation and the budget of each, these solutions help to find back a good level of comfort, stability and chewing efficiency which is generally really appreciated. With a device supported by implants, eating becomes again a pleasure, digestion and health are better, the support of lips turns back esthetic and the speech is improved… In brief, you live life to the fullest! First of all, the cost of a treatment varies according to the extent of the edentulism. 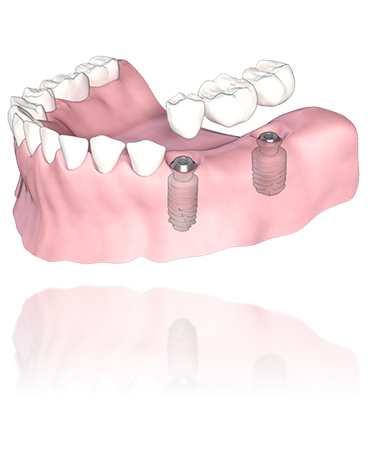 The importance of the latter will define the number of necessary implants to support the future prosthesis and consequently the necessary budget for the realization of the project. 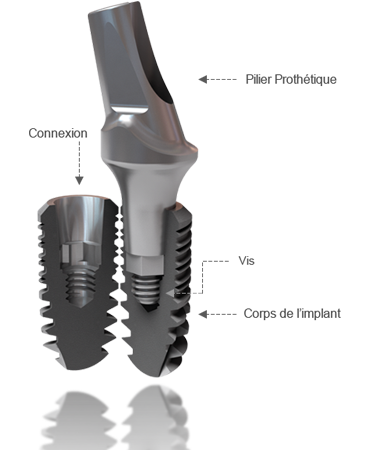 However, it should be noted that the number of implants will not necessarily be equal to the number of lost roots. As the case may be, it is not rare to have fewer implants than roots to be replaced. The age of the edentulism can also impact on the cost of the treatment. Generally, a loss of long-time tooth is accompanied with a bone loss which can prevent the placement of implants in situ. If that was the case, it will be necessary to plan beforehand a bone graft. These graft processed, well controlled this day, can then enter the plan of treatment and thus the quotation, in a variable way according to the importance of the graft. Finally, strong esthetic expectations can in some cases require some specific operating techniques, to answer these requests. These contributions on the surgical or prosthetic plan can also be taken into account for the elaboration of the estimate. 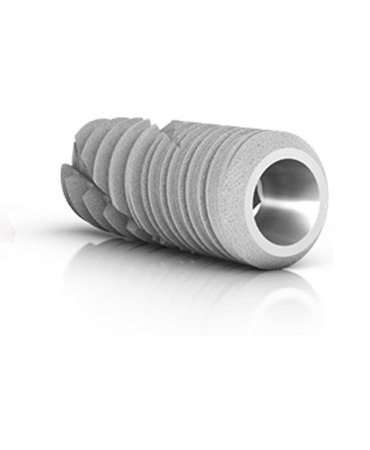 These are the reasons why it is generally difficult to find precise answers to the question of implants’ cost. The price range is very variable according to the situations and the expectations of each one. As for the budget, it is strongly recommended to ask your dental surgeon who will give you a personalized detailed estimate that will be precisely adapted to your case and your expectations. 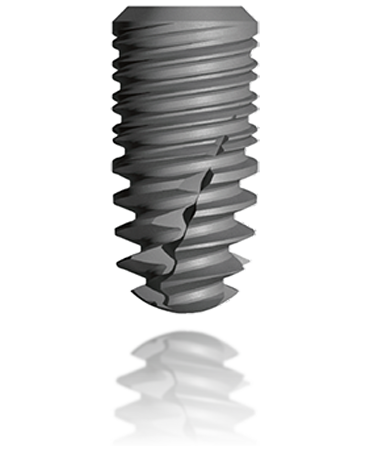 With regard to the conventional alternatives, the dental implant is a solution with a long-term added value. Compared with a bridge on teeth for example, the dental implant can avoid you the decay of healthy neighboring molars. 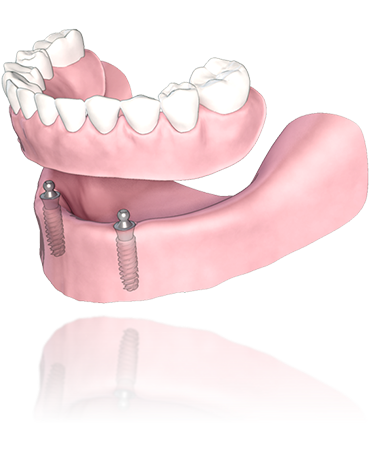 Furthermore, the implant which is anchored in the jaw will allow seeking the underlying bone, and so preventing it from being reduced. Your tissue capital is thus preserved and is the best guarantee so that your residual set of teeth remains healthy on a long-term basis. 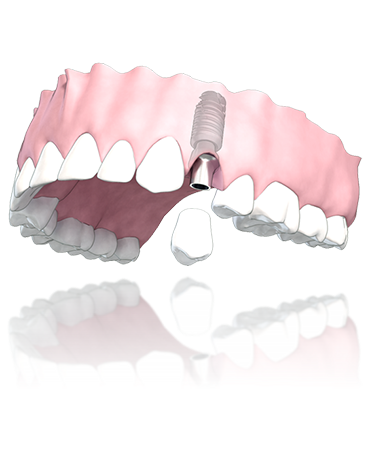 In the same way, the use of a dental implant instead of a stellite will allow you, besides an upper comfort, to avoid the decay of your natural teeth on whom hooks are fastened and whose forward treatment will be inevitable. 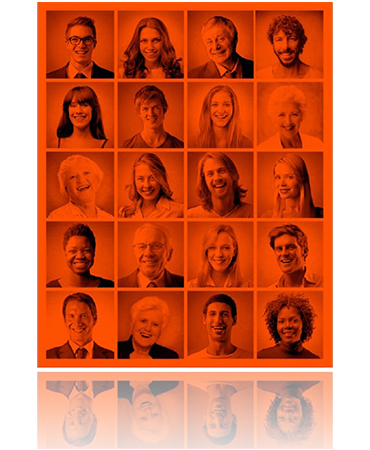 Even there, the dental implant is a more conservative long-term solution. In a general way, an edentulism treated early by means of an implant will always check advantageously the process of generative residual decay of the osseous capital and the residual teeth, which increase the cost when the treatment is late envisaged. To date (in France), implants are not paid off by the Social Security System. Several private health insurances however, suggest paying off all or part of your care realized in implantology. It is recommended to find out from your private health insurance to know the applicable conditions of refund. Ask your dental surgeon, he will be able to advise you and suggest you the most adapted solution for your situation. (*) to guarantee the sustainability of implants, it is necessary to consult your dental surgeon one or twice a year as for your natural teeth.